Two men, a priest and a skeptic were walking down the street. The skeptic was complaining about the problems of religion, arguing it helped nobody. "It doesn't change a person's behavior, so what good is it?" The priest said nothing until he walked past a dirty unkempt individual. "Look, soap didn't change that person's appearance, so what good is it?" The skeptic objected. "That's not fair. Soap could help him, but he just didn't use it." The priest nodded. "And that's my answer to you as well." I recently received a question, expressing concern for the state of the Church, about the concept of "By their fruits, you will know them." Given the troubles in the Catholic Church, I was asked, is it possible that these are the fruits which indicate this is not God's Church? ﻿15﻿ “Beware of false prophets, who come to you in sheep’s clothing but inwardly are ravenous wolves. ﻿16﻿ You will know them by their fruits. Are grapes gathered from thorns, or figs from thistles? ﻿17﻿ So, every sound tree bears good fruit, but the bad tree bears evil fruit. ﻿18﻿ A sound tree cannot bear evil fruit, nor can a bad tree bear good fruit. ﻿19﻿ Every tree that does not bear good fruit is cut down and thrown into the fire. ﻿20﻿ Thus you will know them by their fruits. In context, we see Jesus is speaking of individuals, and is speaking of hypocrisy and of false prophets. People who may invoke the name of God, but their actions do not follow what they claim to hold. The sound tree vs. the bad tree. ﻿33﻿ “Either make the tree good, and its fruit good; or make the tree bad, and its fruit bad; for the tree is known by its fruit. ﻿34﻿ You brood of vipers! how can you speak good, when you are evil? For out of the abundance of the heart the mouth speaks. ﻿35﻿ The good man out of his good treasure brings forth good, and the evil man out of his evil treasure brings forth evil. In both cases, Jesus is speaking of the behavior of individuals. Those who show good fruits cannot be called evil, while those who show evil fruits cannot be called good. With each individual within the Church, the question is whether or not the person hears God's message and keeps it in his or her heart. If he does, he will bring forth good fruit. If not, he will bring forth bad fruit. Since the verse was applied to an individual and not to the Church, it seems to be taking it out of context to apply the verse to the Church, unless it can be established that the person bearing bad fruit is doing so because he is following the true teaching of the Church. Otherwise, to claim "Person X is a Catholic, and he is doing bad things, therefore the Catholic Church is bad" is in fact a post hoc fallacy. So if "Sister Mary Loony," or "Father Harry Tik" is saying or doing things which shows bad fruit, we need to analyze whether or not the Catholicism they teach is in fact in line with the teaching of the Pope and those in communion with him. If it is, the accusation is valid. If it is not, then obviously it is unjust to blame the Church for those who teach their own views instead of the Church. Remember in Matt 12:15, Jesus spoke of false prophets: People who teach a false teaching and present it as God's. Reading the Prophets in the Old Testament, we see many incidents of false prophets who sought to teach a message not from God. They claimed that God would not forsake Jerusalem to the nations because His temple was in Jerusalem, and to let Jerusalem fall would show God to be weak. Certain things, such as art, architecture and music do reflect the influence of faith in a society. A society which practices its faith will be more inclined to produce works of deep spiritual meaning, while a society which does not, will be less likely to produce people who are inspired to create. It would be false however to think that the Western decline in ideas of art is due to the Church being in decline, unless one can make a case that the Church itself is responsible for the decline in its official teaching (as opposed to people who imposed their own interpretation on to what the Church has taught). Indeed, when we look at the path of Western society, we see a tendency against God and faith and towards secularism. In other words, a society which is rejecting Christ and is marginalizing faith. Does the Church embrace this? No, in fact it is setting itself in opposition to this secularism, and calling for a return to Christ, making Him the center of our lives individually and in society. So it cannot be said that The Church is the cause of this aesthetic collapse. Nor can it be said to be the cause of any moral or spiritual collapse. These collapses are caused by man moving away from the teachings of Christ and His Church. The Church cannot compel the individual to obey however. It can only teach what is, and to speak out against what is false. But as Humorist Dorothy Parker once remarked (and was wrongly attributed to Mae West): "You can lead a whore to culture, but you can't make her think." If people will not listen to the Church, and will reject its authority, there is not much one can do to make them listen. This is of course where those of us who claim to be faithful sons and daughters of the Church come in. We are indeed called to transform our culture by our living witness to Christ. Perhaps this means preaching. But not all of us are called to preach, but all of us are called to bear witness. ﻿14﻿ What does it profit, my brethren, if a man says he has faith but has not works? Can his faith save him? ﻿15﻿ If a brother or sister is ill-clad and in lack of daily food, ﻿16﻿ and one of you says to them, “Go in peace, be warmed and filled,” without giving them the things needed for the body, what does it profit? ﻿17﻿ So faith by itself, if it has no works, is dead. ﻿18﻿ But some one will say, “You have faith and I have works.” Show me your faith apart from your works, and I by my works will show you my faith. If we, if you as an individual or I as an individual, are not showing our faith by our works, are failing to bear witness to the world. Yes, many non-Christians and many people who reject all concepts of religion are scandalized by our behavior, who profess the belief in Christ but by our works seem to show nothing but bad fruit. Who is to blame in such a case? We are. We are whenever we fail to bear witness to the faith we have within us by living our lives according to that faith. I know the faults I have to work on, and I don't always succeed in the struggle against them. ﻿1﻿ “Judge not, that you be not judged. ﻿2﻿ For with the judgment you pronounce you will be judged, and the measure you give will be the measure you get. ﻿3﻿ Why do you see the speck that is in your brother’s eye, but do not notice the log that is in your own eye? ﻿4﻿ Or how can you say to your brother, ‘Let me take the speck out of your eye,’ when there is the log in your own eye? ﻿5﻿ You hypocrite, first take the log out of your own eye, and then you will see clearly to take the speck out of your brother’s eye. All of us are obligated to remove the log in our own eye, and whether or not "the other guy" removes the speck from their eye does not change the obligation we have before God. If we want the Church to show good fruits, we need to start with ourselves. If we are offended by the behavior of others, are we ourselves exemplary in our own behavior? If our objection is others promoting error, are we speaking out for the truth? If we do not, we fall into the category of the hypocrites Jesus spoke out against. "the judgment you pronounce you will be judged, and the measure you give will be the measure you get" is a sentence I would not want applied against me, but Christ has told us, this is how we will be judged. ﻿The word of the Lord came to me: ﻿2﻿ “Son of man, speak to your people and say to them, If I bring the sword upon a land, and the people of the land take a man from among them, and make him their watchman; ﻿3﻿ and if he sees the sword coming upon the land and blows the trumpet and warns the people; ﻿4﻿ then if any one who hears the sound of the trumpet does not take warning, and the sword comes and takes him away, his blood shall be upon his own head. ﻿5﻿ He heard the sound of the trumpet, and did not take warning; his blood shall be upon himself. But if he had taken warning, he would have saved his life. ﻿6﻿ But if the watchman sees the sword coming and does not blow the trumpet, so that the people are not warned, and the sword comes, and takes any one of them; that man is taken away in his iniquity, but his blood I will require at the watchman’s hand. So, the question to be directed against those who wonder if the Church has bad fruits, on account of her members, is: Does the Church warn against the sword on the land? Does it speak out against the evils the land is committing? Note, I did not say "Does the individual priest or layman." It is quite possible for individuals to fall short of their obligation before God. But does The Church as a whole fail to teach? Actually no. it stands up against the evil of the world, it condemns the evil, and tries to lead us to the good. Now, if I lie to you the reader about what the Church teaches, or if I fail to understand what the Church teaches, is this the fault of the Church? Or is it my own fault? This is ultimately what we need to consider about whether "The Church" produces good fruits or bad. 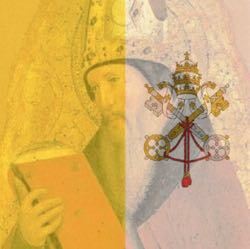 Ultimately, to demonstrate "the Church" has bad fruits, it has to show that the actual teaching of the magisterium, properly understood, is the cause of these bad fruits, avoiding post hoc and straw man fallacies. It requires a knowledge of what the Church has taught, in context, and a demonstration that this evil was intended by the teaching of "the Church," as opposed to overzealous or overlax individuals who distorted or misinterpreted it.